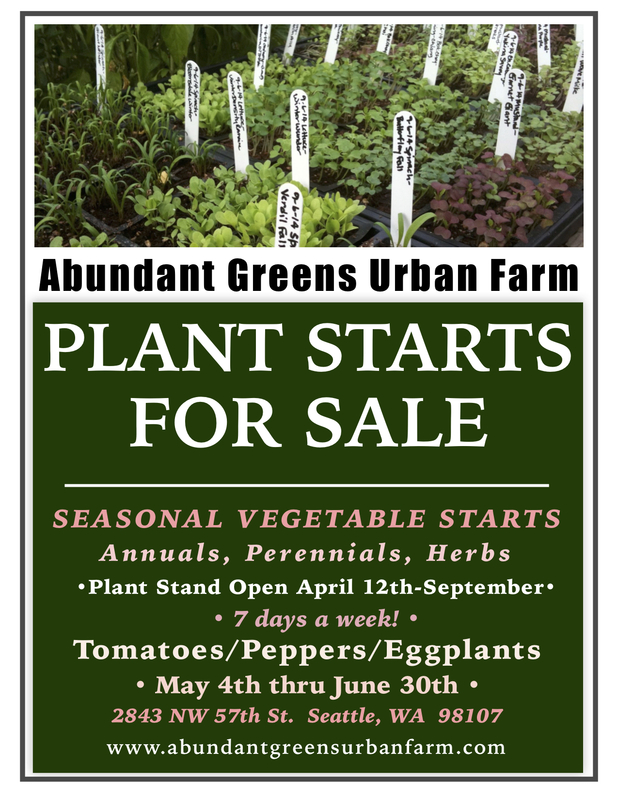 2019 Vegetable Starts will be out for sale starting April 12th! Tables in our parking strip open every day -pay by honor system in lock box. 2843 NW 57th St. in Ballard, 2 blocks north of the Ballard Locks!